Policy regarding on-site interviews: On-site interviews are not required and typically are not done. Applicants who are invited to interview with the program at INS but who are unable to attend the INS meeting have the option of either an on-site or telephone interview. Moderate: Multiple sclerosis and related conditions, ADD/learning disabilities. 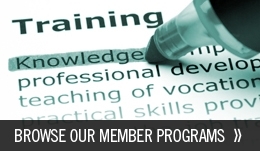 Clinical training experiences during the doctoral program and internship. Expected date of internship completion. Current progress of completing all degree requirements, including dissertation research (if applicable). Career goals and how our fellowship program contributes to meeting those goals. Curriculum Vita. 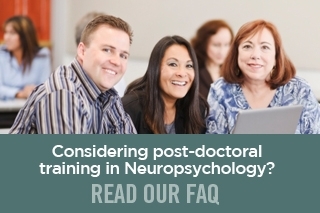 Please be sure to include any employment, internship experiences, teaching, and presentations/publications relevant to clinical neuropsychology. Verification of Completion of Doctorate (to be completed by Dissertation Chair or Director of Clinical Training). The form may be downloaded from: http://appcn.sitewrench.com/assets/1748/doctorate_verification_form.pdf. Three letters of recommendation from current or former clinical supervisors, preferably from supervisors who are clinical neuropsychologists. Applicants who are currently on internship should include an additional letter from their Director of Internship Training verifying their standing in the internship program and the expected date of completion. If you have not defended your dissertation, letter from the chairperson of your dissertation indicating the status of your research project (e.g., completed data collection) and the anticipated date of completion. Note: If your dissertation chairperson is also writing a letter as a clinical supervisor, information regarding dissertation status can be included in that letter.